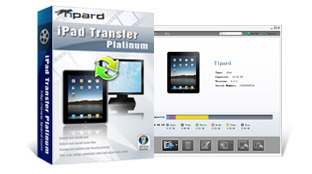 Tipard iPad Video Converter endows with functions of more than converting videos to iPad compatible video. It is such a first-class video converter that you can convert iPad video to videos of any format as well as converting any video to iPad compatible video. Apart from converting, it offers capability of extracting audio, which enables you to make your own music. What's more, edit function supplied by it allows you to edit your video at will. 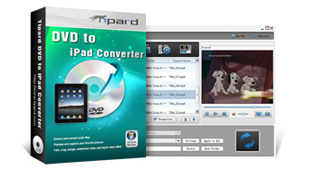 Tipard iPad Video Converter allows you to convert any video/audio to the format which is supported by iPad and iPad 2. This best iPad Video Converter allows you to extract audio from any video and convert it to any audio format according to need. With this best iPad Video Converter, you can adjust video effect on brightness, contrast and saturation. And then you can get the customized output video. With the help of this best iPad Video Converter software, you can trim any segment of a video, cut off the unwanted playing areas, merge several video pieces together and add a text/image watermark to your video. Tipard iPad Video Converter can convert video to iPad MPEG-4, H.264/MPEG-4 AVC, MOV, M4V video. Tipard iPad Video Converter allows you to extract iPad audio file from any video. With Tipard iPad Video Converter, you can trim, crop, merge and watermark video. Copyright © 2010 iPad Video Converter. All rights reserved.